Do I need a will? What about a trust? Will an LLC help us? These are some common questions when farm families begin succession planning. While these are important topics to eventually address, they are poor starting points according to Wright & Moore, an Ohio-based agricultural law firm. Instead, you and your family should ask a simple question to kick-off the process: What goals do we want our plan to accomplish? By no means is this full list. Since each succession plan is unique, families have a menu of dozens of objectives to choose from. Farms and their operators differ greatly, meaning each plan needs some level of customization to address specific needs. Whereas one family might have a simple set of goals, another family might require complex planning tools. It all depends on the unique characteristics of each farm and family. Question about wills, trusts, LLCs, and other succession planning topics can be very technical. Don’t get bogged down as a family trying to research and learn complex legal issues. Instead, spend time as a family setting the goals for your plan. If you can develop a good set of goals, it becomes much easier for your attorney to assemble a plan that satisfies them. Once your objectives have been identified, relay them to your professional team to get the succession planning process underway. When the planning process is complete, ask your legal counsel to explain how each goal is satisfied. Wright & Moore Law Co., LPA has a rich heritage in Ohio agriculture. Since 1988, our firm has proudly assisted farmers, rural residents, and landowners from all over the state with their farm succession planning and agricultural legal needs. We would be happy to discuss your family goals and how to meet them. 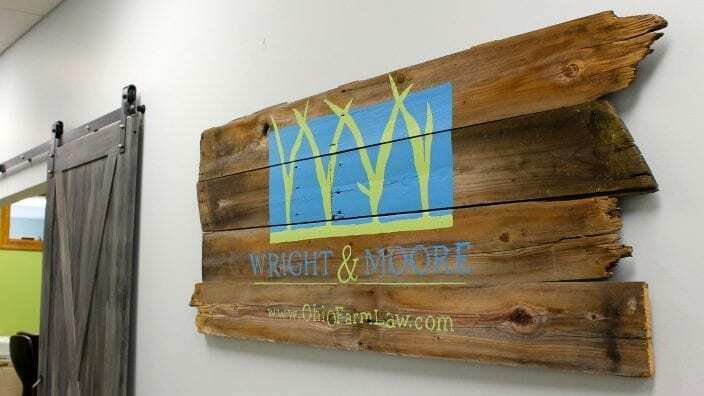 To learn more about Wright & Moore or schedule a meeting, visit OhioFarmLaw.com.